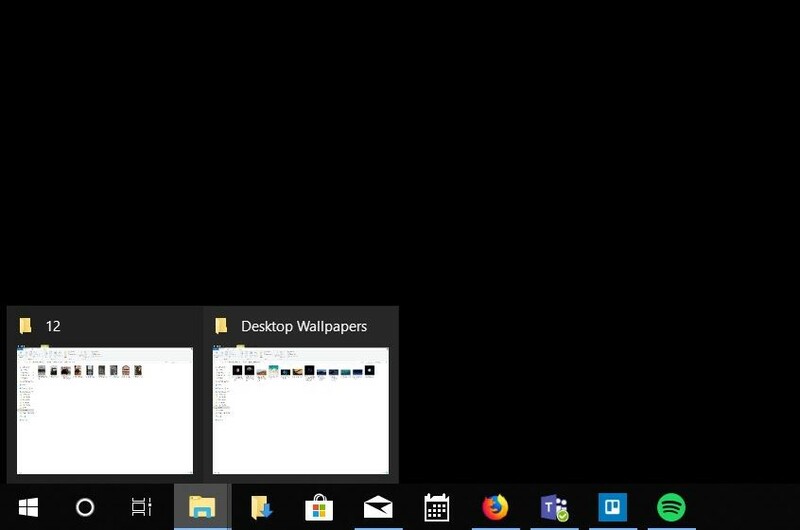 It turns out Windows 10 is fairly terrible at remembering window sizes and placement when connecting to or disconnecting from an external display. This post is in a similar vein. The Windows 10 taskbar houses a few apps that constantly run such as OneDrive, Google Drive, Docker, 1Password, etc. This is very similar to macOS’s menu bar at the top of the screen. These small apps don’t require full window interfaces in many cases, and they run all the time, so the developers decided not to make them full blown apps that have their own task bar items with other apps like your email or calendar. The issue I have is that whenever I change display sizes the “faux windows” or small pop-up dialogs that these icons invoke all but disappear (see right side of screenshot). From my research and my own noodling around there is no way to retrieve these without restarting the processes these icons represent. It isn’t as easy as quitting the “app” since you cannot find the interface to do so. You have to open the Windows 10 Task Manager and find the process and quit it. Then reopen that process yourself. 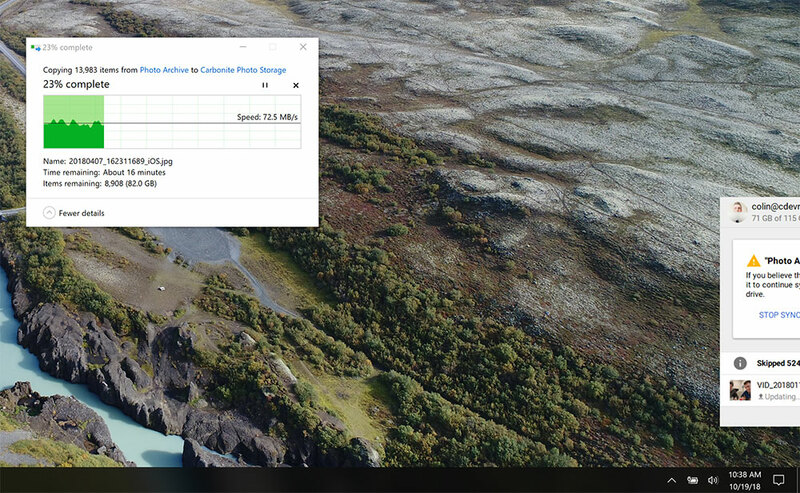 I waited several builds of Windows 10 to write this post, thinking it would be fixed very quickly. I cannot imagine that Microsoft’s Windows team isn’t running into this every single day themselves so I’m hoping a fix is in the works. There is so much blogger coverage for Apple’s hardware and software products that I feel there needs to be a few more in the Microsoft and Google world. To that end I’m going to start a few new series here on my personal blog; Things about Windows 10, Things about Android. Generally, I’ll be keeping both of these series positive. I contemplated calling them “Things I like about Windows 10” but, inevitably, there will be some things that I wish were a bit better. So, they will just be “things” that I find interesting. This first thing about Windows 10, Task Bar Previews, I like very much. Let’s say you have an application that has two windows currently open. In the above screenshot I have two File Explorer windows open. 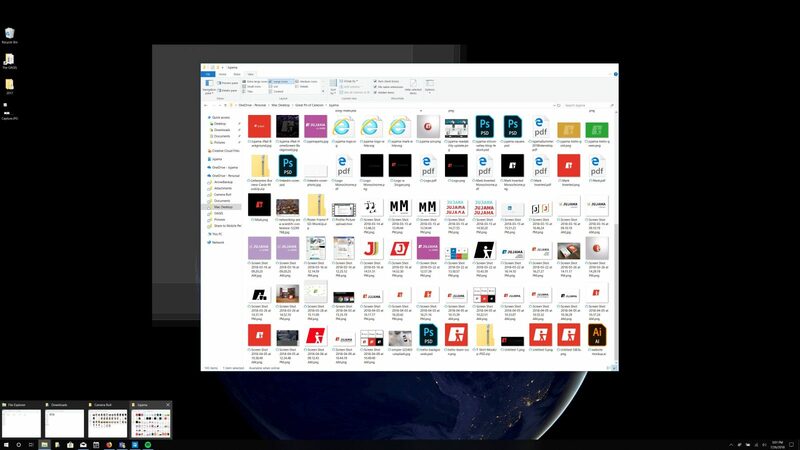 By simply hovering the Task Bar icon for that application I can quickly see a preview of sorts for what those windows look like. It turns out to be very handy. It goes a bit further than that as well. If I hover a single one of those previews, everything else fades away on my computer and I’m able to see just that preview. Check this one out where I have a bunch File Explorer windows open while moving myriad files from one place to another. I’ve found this feature very useful in just the first few weeks of using Windows 10 every single day.